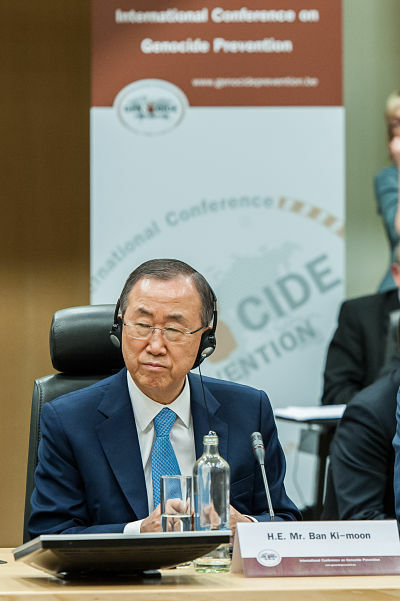 BRUSSELS, BELGIUM – The Latin American Network for Genocide and Mass Atrocity Prevention is a regional mechanism that “immensely” contributes towards the prevention and punishment of atrocity crimes, according the Chair’s conclusions of the International Conference on Genocide Prevention. 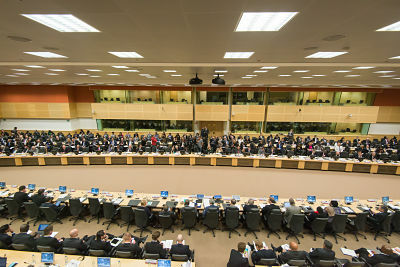 The Chair’s final report summarized the proceedings of the recent two-day conference, where representatives of 125 states, most represented at ministerial level, plus dozens of relevant regional and international organizations, as well as academics, legal experts, and representatives of civil society, gathered to set the agenda for the international community on prevention. Recognition of the Latin American Network, of which AIPR serves as Secretariat, is a testament to the hard work and commitment of the eighteen states that make up this initiative, the leading regional mechanism to foster capacity building and policy development in genocide and mass atrocity prevention. Preventing genocide means establishing legitimate and accountable national institutions that are inclusive and credible in the eyes of the population. It means ensuring that the rule of law is respected and that all human rights are protected, without discrimination. It means eliminating corruption, managing diversity and supporting pluralistic media and strong civil society, including human rights defenders. I applaud those Member States that have put in place national institutions that focus on the prevention of genocide and other atrocity crimes. I urge others to follow suit and do even more. I also welcome the efforts states have made to share best practices and strategies. Slowly but surely, we are seeing the emergence of a community of commitment for the prevention of atrocity crimes. To read the Chair’s final report, click here. And for more information about the International Conference on Genocide Prevention, please click here.